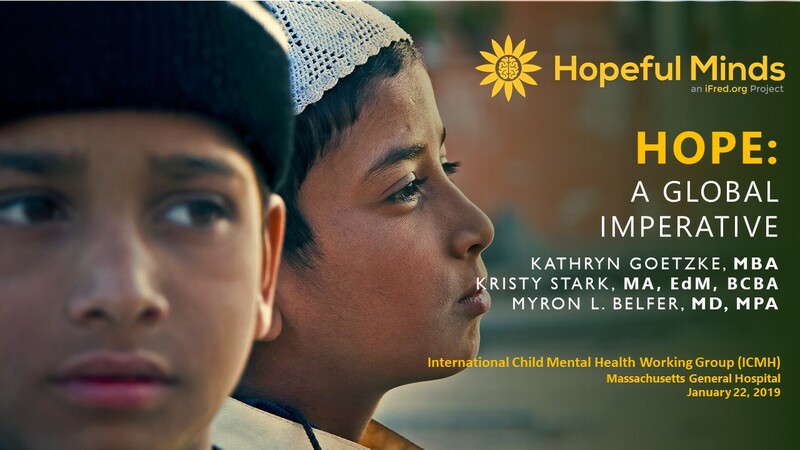 Hopeful Minds is a project developed by iFred, the International Foundation for Research and Education on Depression. 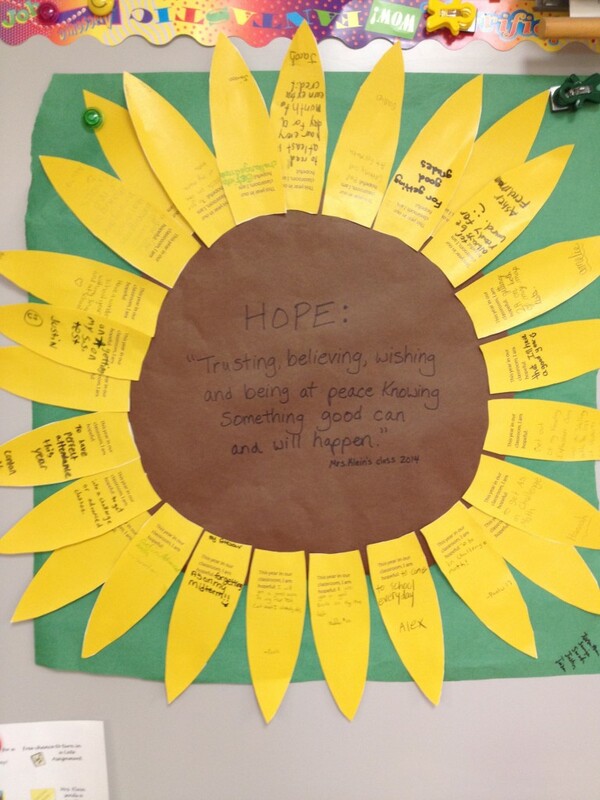 It is based on research that suggests hope is teachable (a skill). The aim is to equip students, teachers, and parents with the tools they need to define, learn, and grow a hopeful mindset and prevent hopelessness around the world. 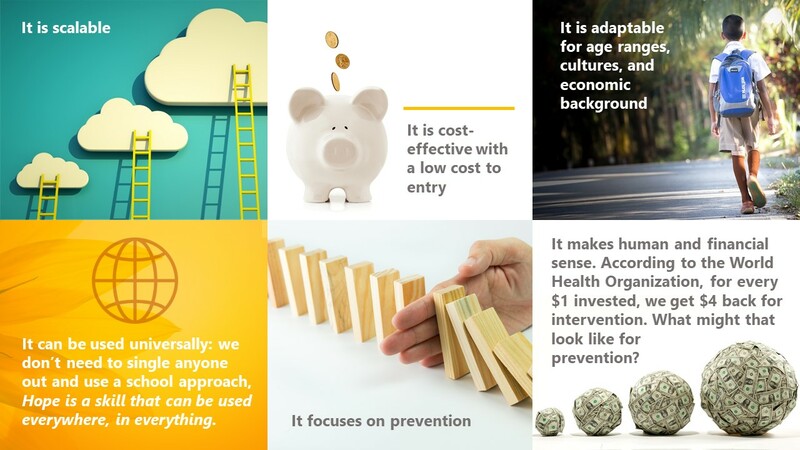 See our latest presentation at the International Child Mental Health Working Group (ICMH), Massachusetts General Hospital in Boston where we share our goals and ambitions for the project. Hopelessness is the leading predictor of suicide, and number one symptom of depression. Higher hope, on the other hand, corresponds to greater academic achievement, improved health, increased productivity, less anxiety and depression, less violence, more social support and connection, and less loneliness. Our focus is on prevention of anxiety and depression, through teaching life skills for creating, maintaining, and sustaining Hope with practical tools and exercises. Currently, we are researching ages 7-11, but the program is adaptable and modifiable for all age ranges and across cultures. We focused on this initial age group, as research suggests there is a significant rise of suicide attempts when students reach 6th grade (Journal of Adolescent Health via Family Matters, 2011), and most anxiety and depression appear before the ages of 14. We use the Whole School Approach – each and every child is taught these critical Hope life skills – we do not ‘single kids out’ as this is a program each and every child needs. We reinforce the concept, Hope is teachable. 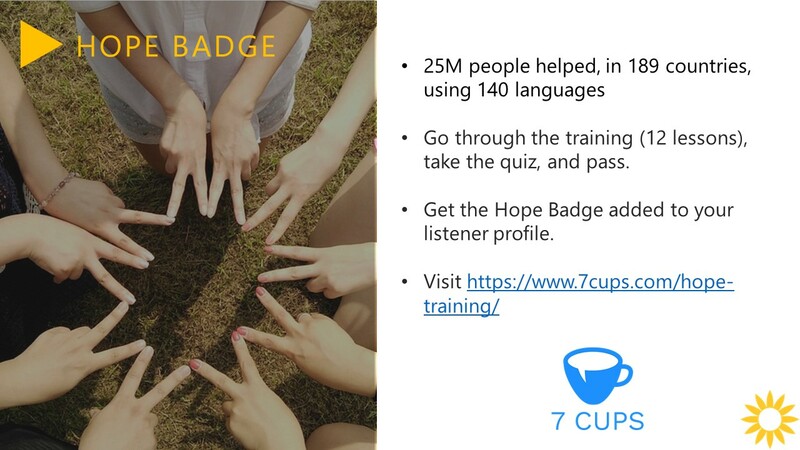 We also offer training via the 7 Cups Hope Badge (ages 13 and up). So if you want to start practicing your own Hope skills, go through our 12 lessons and improve your knowledge today. And if it inspires you, share with others, as it is a skill each and every person, at any age needs. And know that hope isn’t learned overnight. These skills must be practiced, regularly. For information on our initial research results, please see the following documents for preliminary comprehension of materials insights, and be sure to sign-up for our newsletter. 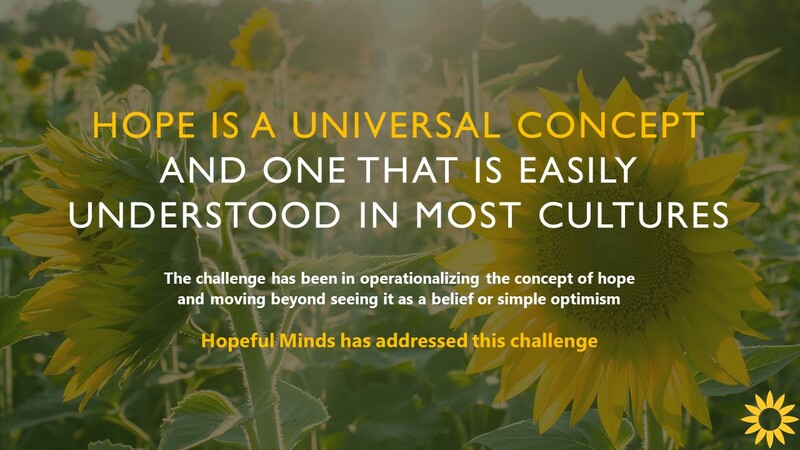 We are publishing a number of studies and pilots soon, and if you want to start a study in your area, please do contact us at hopefulminds@ifred.org.